Succulents in the summer - Sucs for You! First, and the least of our worries, you’ve probably noticed a lot of your succulents lose their colorful hues in the summer time. To understand why, it helps to know what brings out their colors to begin with— that, my friends, is stress. And when we water our plants more in response to the heat, this relieves the plants from stress and invites them to create more green chlorophyll. Believe it or not, the drier and brighter the weather—be it hot or cold—the more brilliant your plants’ colors will be. There are hundreds of succulents that perform this color-changing feat which is really a protective reaction to intense light. Here’s an interesting study on the science behind the magic if you’d like to know more. When the temperatures begin to drop again, you’ll start to see your plants put on a vibrant show if you go easy on the water. I’ll discuss coloration in a future piece because it’s a very intriguing but involved topic. 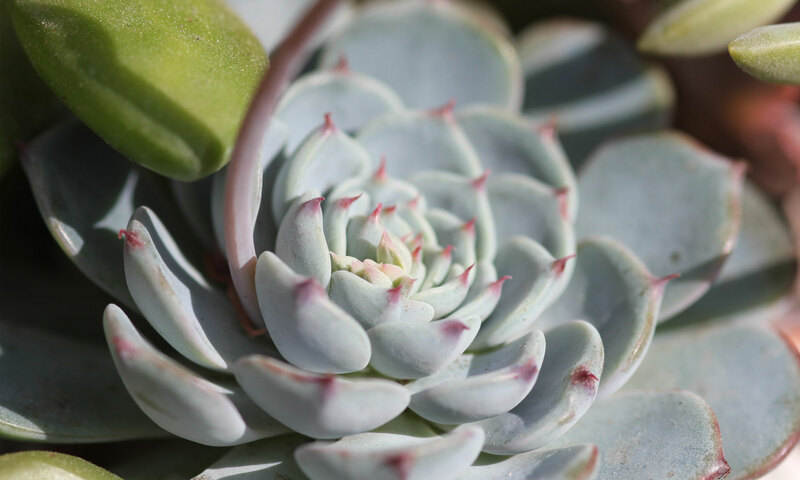 It doesn’t help that summers also tend to bring a lot of rain, which means overcast skies which block the sunlight our succulents depend on to maintain good growing form. This is also the time of year many regions’ humidity levels are at their peak. An average July day in Houston sees highs in the upper 90s, 60-70% humidity and a 20-60% chance of rain. Heat plus high humidity create a ‘feels like’ temperature ten degrees or higher than the base temperature. Long story short, it’s hotter than we think and our plants know it. So what can go wrong when all of these elements come together to descend upon our succulents? When it’s hot out, the urge to water our plants is stronger than ever. When plants receive ample water, they’re encouraged to grow. If there’s not enough sunlight to supply the plants with the energy they need while growing, they will eventually become etiolated, or stretched out, as they search for more light. This isn’t as noticeable on certain plants like Aloe Vera or Jade but with Echeverias and cacti, they can become sadly unrecognizable. While this won’t necessarily kill a plant, it’s a sign of imbalance which can hurt its ability to survive other challenges like fungi, pests, and overwatering. Summer is the time of year you really have to be careful about overwatering your succulents, especially in more humid climates. Just because it’s hot doesn’t mean things are drying out more quickly. Hot wet dirt will smother your plant’s roots if it doesn’t cook them first. Pots with quick drying soil and drainage holes are essential to keeping succulents alive in hot, humid regions. Signs of overwatering include brown spots on your leaves where the cells have burst from too much water (Edema), leaves drooping or dropping, and plants leaning instead of standing tall if that’s their normal form. 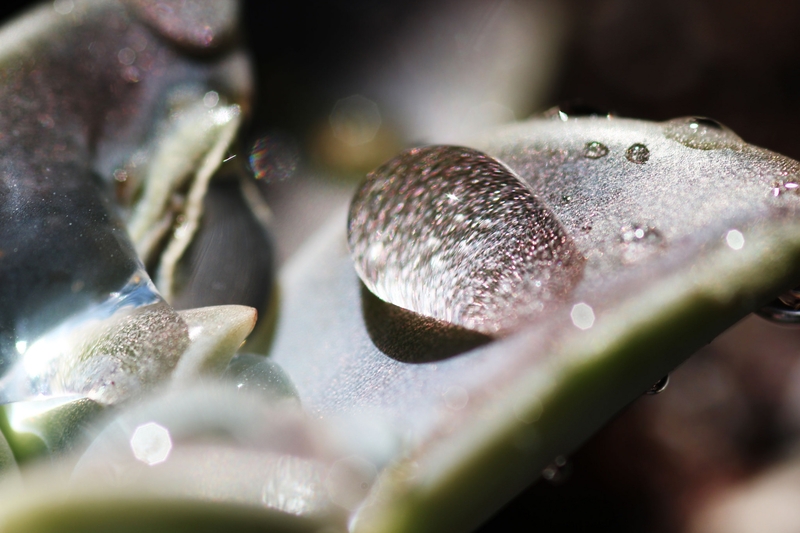 Succulents exposed to rain may need to be sheltered, particularly when precipitation occurs more than once a week. And there’s always the concern with wet plants getting sunburned so keep an eye out and try to blow or tap any standing water off of the leaves if the sun comes out after it rains. If they’re potted you may want to bring them to a covered area, especially if you’re not going to be around to monitor the weather. 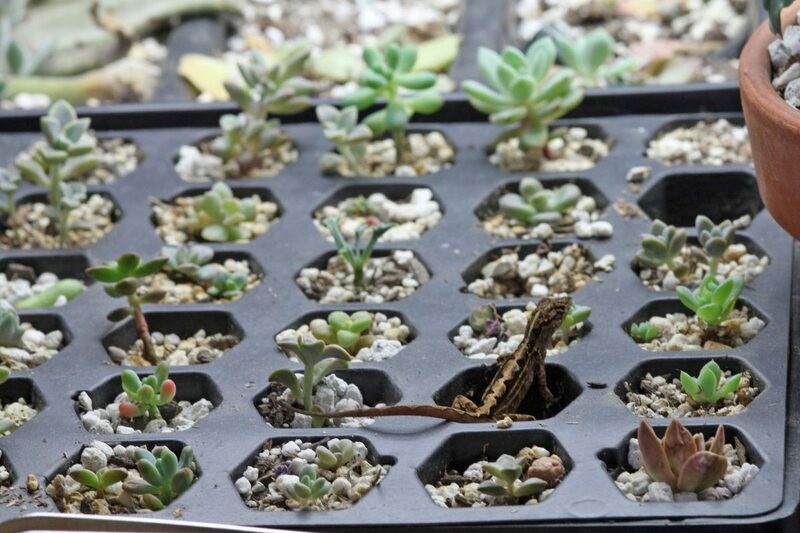 Propagation station: How to make more…anoles? Finally, you’ll notice many plants don’t grow as quickly during the summer as a result of their attempt to conserve energy in extreme temperatures. I’ve noticed some of my seedlings and leaf propagations have reduced their growth rate compared to spring or fall. Some seem to come to a halt altogether. Keep this in mind and consider waiting until the weather is a bit cooler before starting seeds or propagations, and be patient during summer months if you observe slow growth. Your plants are still alive and growing, but just like humans, the heat makes it hard to be very active. I have three electric oscillating fans on my porch to offer a bit of relief to my plants and myself. (I live between two bayous in a sub-tropical climate and I don’t think there is such thing as too many fans around here.) 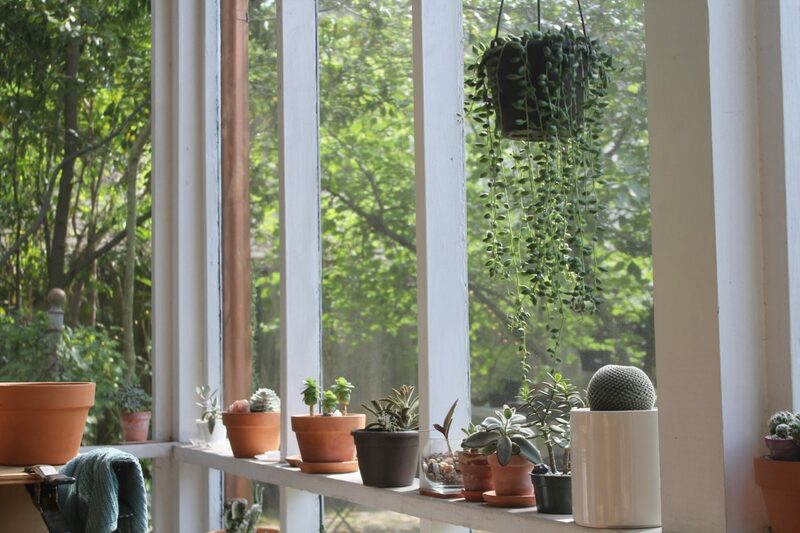 Also consider waiting to order plants from climates more temperate than yours as they’ll have a harder time adjusting to the heat than they would if introduced during less freakishly hot months. I hope this information helps and while it’s incomplete, it covers the main issues I face during the summer. While my location and situation may be different than yours, we all want the best for our succulents. With a bit of knowledge (and a lot of trial and error) you’ll learn what your sucs are saying and how to respond to their needs. Asking questions helps us learn together so please leave any inquiries and photos in the comments below! This was great, very informative! This is my first summer with succulents so I really didn’t know what to expect, definitely a learning experience. Your knowledge and kindness to share are greatly appreciated! !